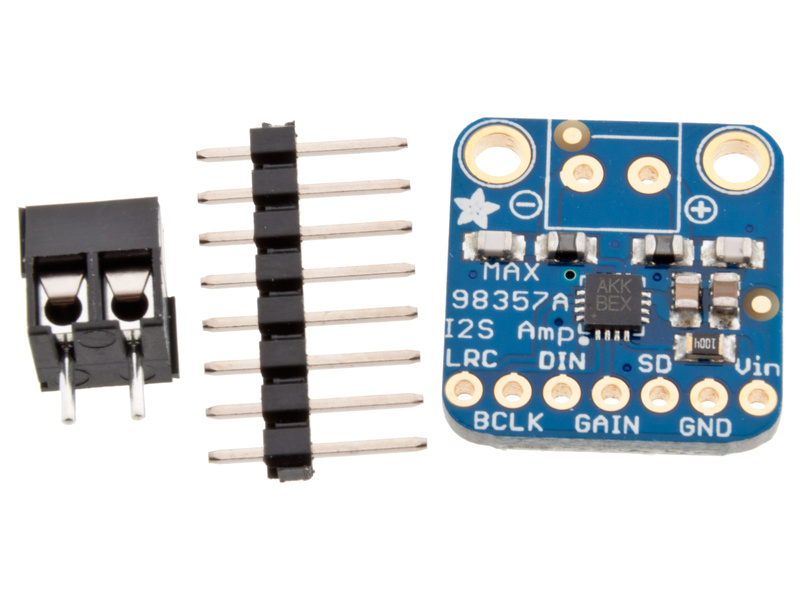 Listen to this good news – we now have an all in one digital audio amp breakout board that works incredibly well with the Raspberry Pi! If you’re looking for an easy and low cost way to get you digital sound files bumpin’ then the MAX98357 I2S Amp Breakout is for you. It takes standard I2S digital audio input and, not only decodes it into analog, but also amplifies it directly into a speaker. 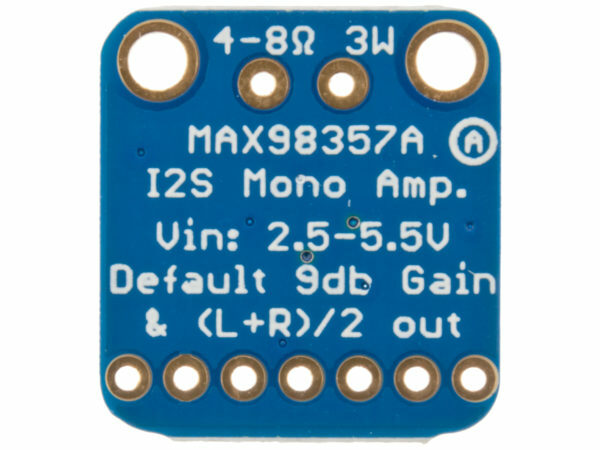 Perfect for adding compact amplified sound, it takes 2 breakouts (I2S DAC + Amp) and combines them into one. 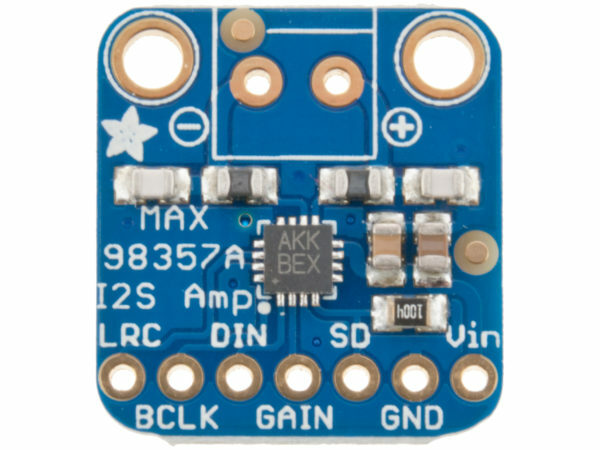 The audio input is I2S standard, you can use 3.3V or 5V logic data. The outputs are ”Bridge Tied” – that means they connect directly to the outputs, no connection to ground. The output is a ~300KHz square wave PWM that is then ‘averaged out’ by the speaker coil – the high frequencies are not heard. 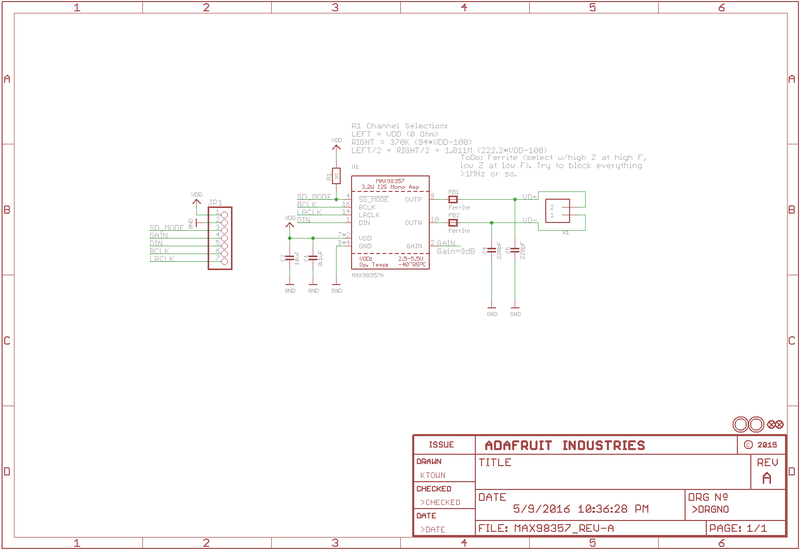 All the above means that you can’t connect the output into another amplifier, it should drive the speakers directly.